Made in New England: Paleonola Grain Free Gluten Free Non-GMO Granola, Original Flavor - Pack of 2, 10 Oz. ea. 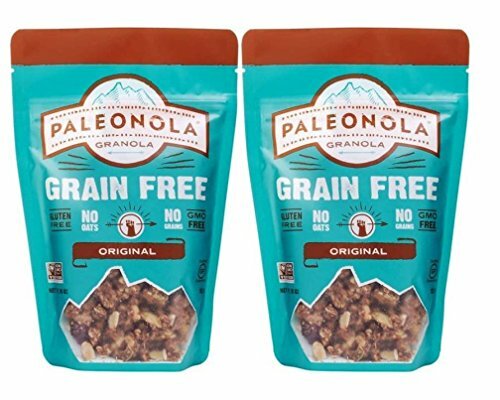 Paleonola Grain Free Gluten Free Non-GMO Granola, Original Flavor - Pack of 2, 10 Oz. ea. PALEONOLA is not your average granola. Traditional granolas are filled with 90% oats and are made with ingredients like canola oil, cane sugar, soy lecithin and other additives that diminish and in some cases even ruin our intention of trying to eat healthy. We believe people deserve more from the foods they choose. Our signature blend of hearty nuts and seeds will give you the look and feel of traditional granola without the heavy carbohydrate load and sugar crash you'll find elsewhere. Order yours today!